Our group was asked to help out with this ride for an article in Next Months magazine. We had a lot of fun. We started about 9:00 and it rained until 11:30. Most of the video is before lunch. We hit some more trails after lunch leaving the Rock garden and then the buggy broke an axle about 3:00 and we called it a day. Cool!! Reminds me of Drummond !! Way to represent! 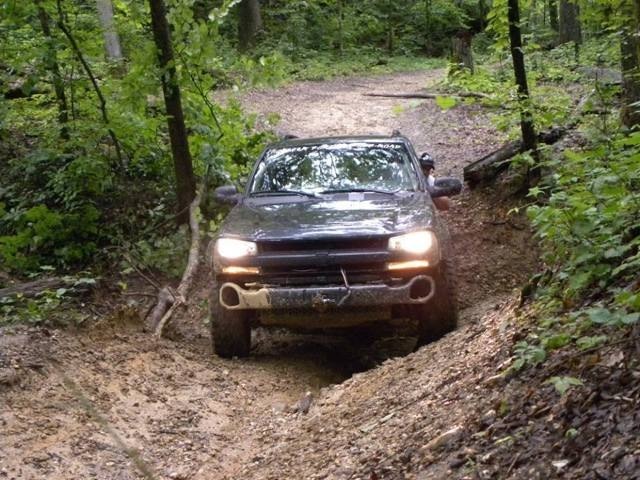 Did you only get stuck the one time when you took the wrong trail? I loved the fact that the one jeep had a tarp on it! 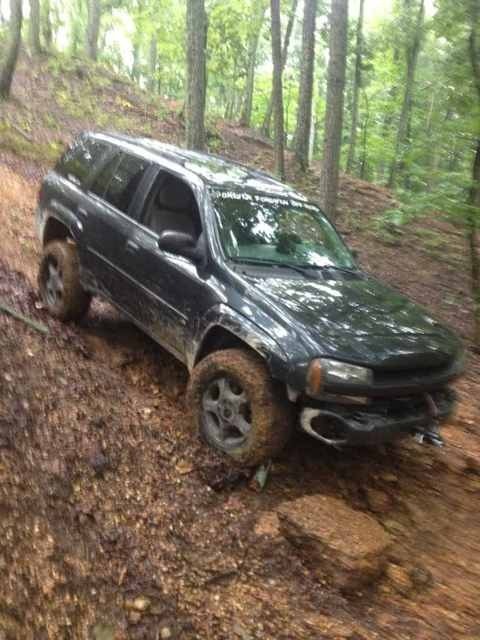 The problem with the Trailblazer is, people think you know what you're doing. We spent a half an hour in the rain unloading the buggy and the red jeep in the rain...those tarps were custom made bikini tops the night before. 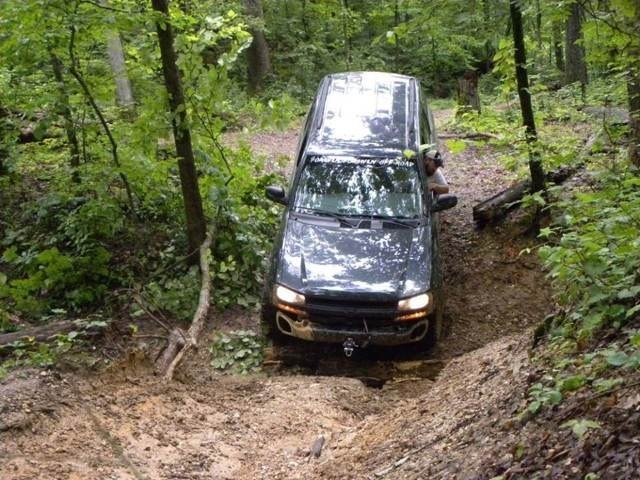 Where the red jeep got stuck I managed to stay high side and go through it sideways at about 3000 rpm's. but of course I forgot to turn on the cam and everyone else was down hill. Where's that mag sold? Never heard of it. Come to the right TECORE and you'll be a expert in 2-3 days! Need to Mr. Downing down to Kentucky in October. Awesome video! Looked like a lot of fun. Was the Jeep that winched you out using the tree to brace against? JorDaneeKey wrote: Awesome video! Looked like a lot of fun. Was the Jeep that winched you out using the tree to brace against?